HPE There are 9 products. Buy HPE Server of different configuration from single to 8 socket servers. 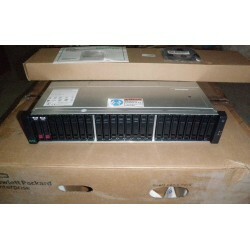 HPE Proliant DL 380 Gen10 The HPE ProLiant DL380 Gen10 Server delivers the latest performance and expandability. Reliability, serviceability and near continuous availability, backed by a comprehensive warranty, makes it ideal for any server environment. 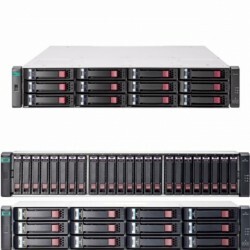 StoreVirtual 3000 The HPE StoreVirtual 3000 Storage series brings enterprise capabilities to entry storage customers with an advanced, multi-controller architecture designed with simplicity and flexibility in mind for a low starting cost. A highly virtualized backend and a single storage capacity pool deliver superior efficiency. HPE MSA 2042 SAN Storage The HPE MSA 2042 SAN Storage offers an entry level storage platform with built-in hybrid flash for application acceleration and high-performance. It is ideal for performance-hungry applications and includes 800 GB of Solid State Drive (SSD) capacity. 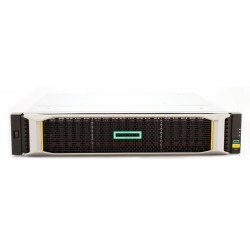 HPE Proliant DL 360 Gen10 The HPE ProLiant DL360 Gen10 Server is 1U server delivering the performance of 2U and highly scalable supporting 2 processors, 2 power supply and 1.5TB RAM. Reliability, serviceability and near continuous availability, backed by a comprehensive warranty, makes it ideal for any server environment. HPE MSA 2052 SAN Storage The HPE MSA 2052 SAN Storage is a hybrid flash system designed for affordable application acceleration for all type of deployments. It gives you the combination of simplicity, flexibility and advanced features you many not expect in similar level of arrays. HPE MSA 2050 SAN Storage The HPE MSA 2050 SAN Storage is a hybrid flash system designed for affordable application acceleration for all type of deployments. It gives you the combination of simplicity, flexibility and advanced features you many not expect in similar level of arrays.